If you are a PwC Employee, gain access to the PwC Specialization and Courses for free using the instructions on the PwC L&D Spark page or simply search "Coursera" on PwC Spark. This Specialization will help you get practical with data analysis, turning business intelligence into real-world outcomes. We'll explore how a combination of better understanding, filtering, and application of data can help you solve problems faster - leading to smarter and more effective decision-making. You’ll learn how to use Microsoft Excel, PowerPoint, and other common data analysis and communication tools, and perhaps most importantly, we'll help you to present data to others in a way that gets them engaged in your story and motivated to act. What's more, should you enroll in these courses, you will be invited to join PwC's talent network. 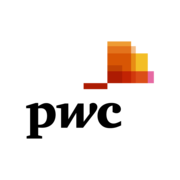 Those who opt into this talent network will receive information about PwC career opportunities, thought leadership, and happenings in the PwC global network. Please note: If you'd like to audit the courses in this Specialization, you'll need to enroll in each course separately and then you will see the audit option. This specialization was created by PricewaterhouseCoopers LLP with an address at 300 Madison Avenue, New York, New York, 10017. Exactly how long it takes will vary, depending on your schedule. Most learners complete the Specialization in five to six months. You don't need any background knowledge. We've designed this Specialization for learners who are new to the field of data and analytics. We recommend you take them in the order they appear on Coursera. Each course builds on the knowledge you learned in the last one. Coursera courses and certificates don't carry university credit, though some universities may choose to accept Specialization Certificates for credit. You should check with your institution to find out more. You'll be able to use the data and analytics framework to develop a plan to solve a business problem. You'll be able to use Excel to analyze data using formulas and present a series of visualizations with a summary recommendation to solve the business problem. You'll also be able to take data and create a dynamic data dashboard in Excel that accepts inputs and refreshes with new data. Finally, you'll be able to develop and deliver a presentation using PowerPoint and the results of your data analysis - so you can share your point of view on how to solve the business problem. How do I audit the Specialization? If you'd like to audit the courses in this Specialization, you'll need to enroll in each course separately and then you will see the audit option. What tools do I need for this Specialization? In the "Data Visualization and Advance Excel" course learners will need PowerPivot to complete some of the exercises. Please use MS Excel 2013 version. If you have other MS Excel versions or a MAC you might not be able to complete all assignments.